Get more insight into your game by analyzing your golf stats. For Premium subscribers, get an even more in-depth look into your game with new charts and custom filters. 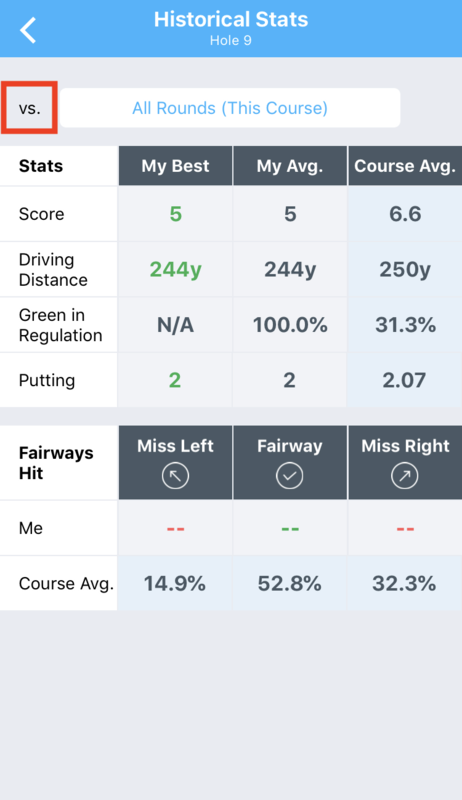 Tap Stats for free golfers or Advanced Stats for Premium Members. 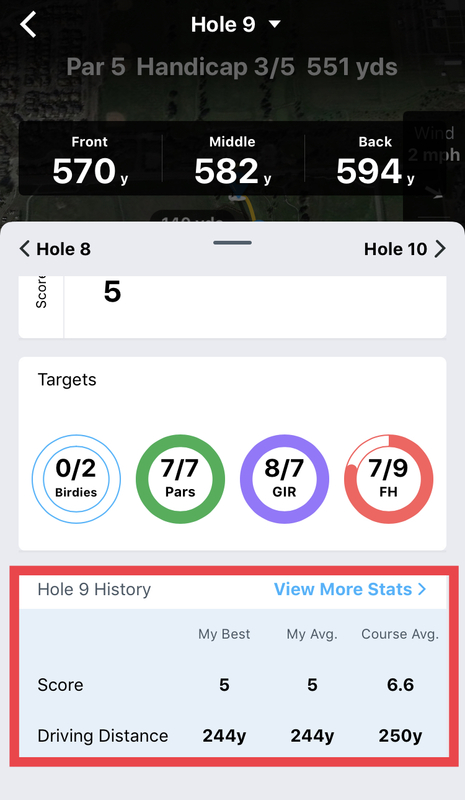 Swipe directionally Up on the scoring screen to the ‘Hole History’ section (highlighted in red in the screenshot below).